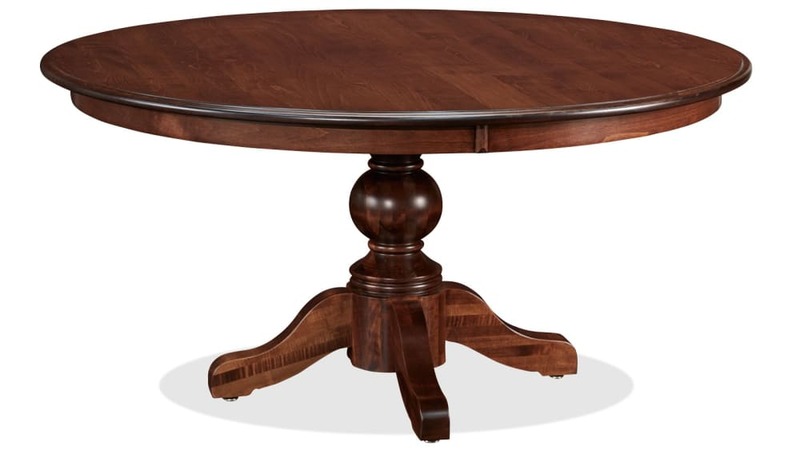 Discover your love for entertaining or simply enjoy everyday meals with the quality construction of this piece. 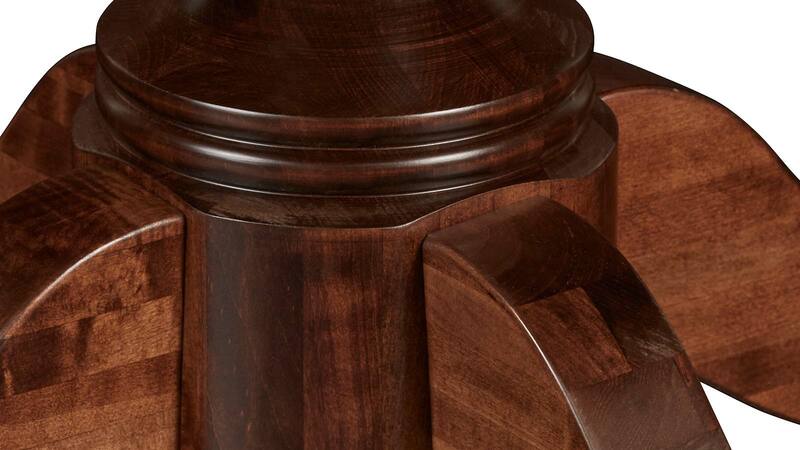 Made in America, this sturdy table will remain in your collection for years to come. 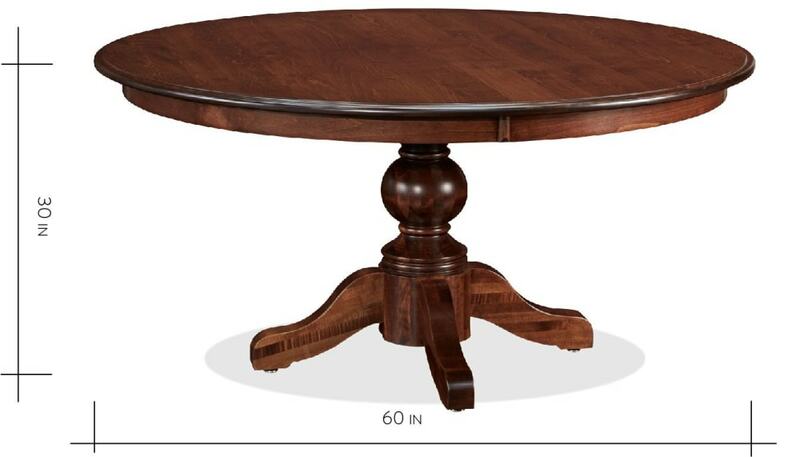 Those important family meals will only be enhanced by this exceptional round dining table. This stylish dining table was made in America by furniture artisans. 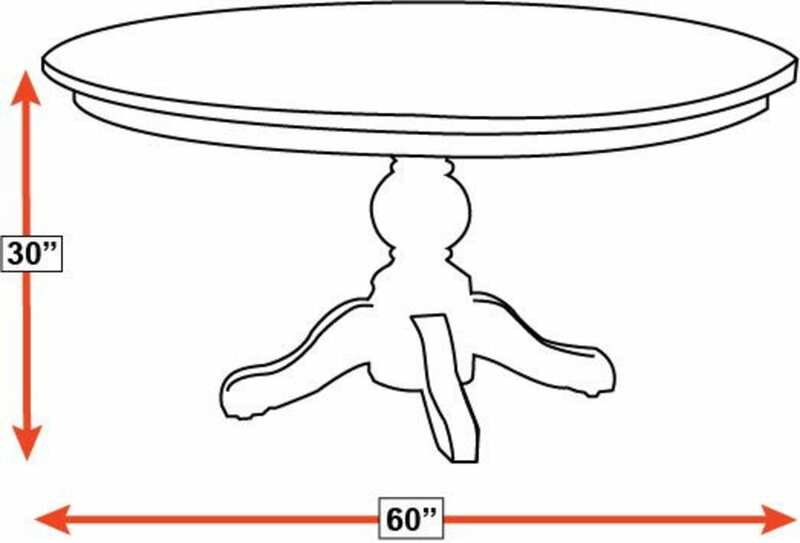 This table features Amish woodworking for a traditional look. 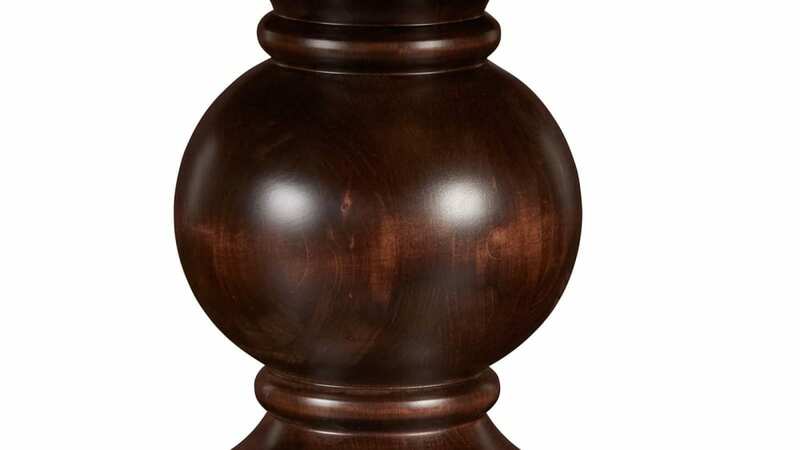 A traditional pedestal base acts as a sturdy base. 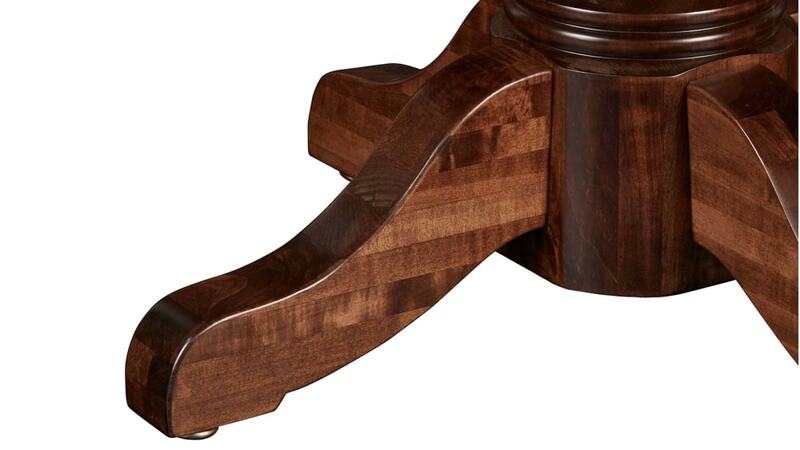 Thumbnail edging provides a polished appearance.